This will be a short entry because, as the world is now witnessing, there’s not a lot of there there. I was on WhatsApp today with a friend in Venezuela and she asked, “Do you have any news about the humanitarian aid? We have no news here.” Hmm. Get it? Yeah. She lives in Venezuela and doesn’t know what’s happening in the country and has to ask me. It’s a deja vu to Cuba, 26 years ago when someone asked me what I knew about Fidel’s daughter defecting to the US. Yes, I knew about it and asked how he knew about it because I knew there was nothing about it on Cuban news. He smiled and whispered, “I heard it on Radio Marti,” the US broadcasting station. “Check, like in chess, right?” she asked. “Yeah, no one’s moving anything,” I said. I said I recognized that, since I’d just seen that the minimum wage in Venezuela, because of the inflation, was presently $.18 US. That’s eighteen cents, in US dollars. And current prices are being pegged to the dollar. Why would the government block humanitarian aid? Because it has a basic policy, developed by Stalin and described by Trotsky when he said that Paul suggested a policy among the early Christians that those who don’t work don’t eat. Trotsky said Stalin adapted that to be “those who don’t obey, don’t eat.” Under this policy, the idea that everyone, and not just Maduro’s loyalists, would have access to food is… unthinkable! 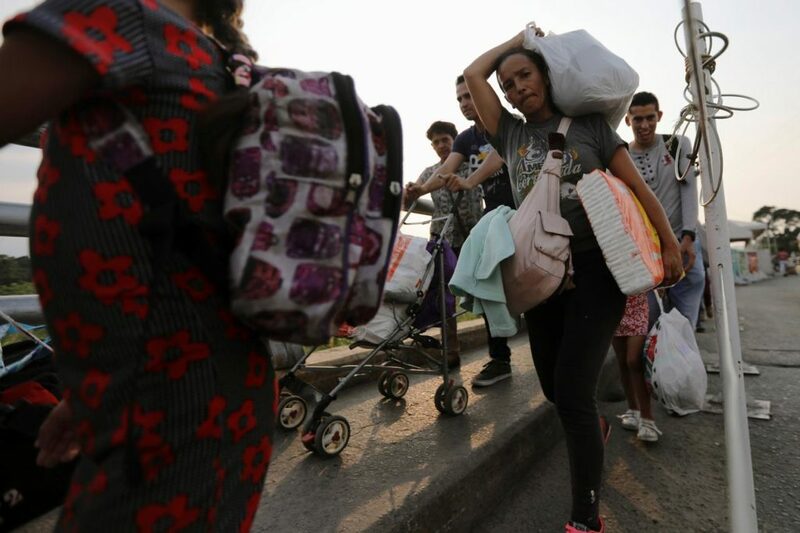 It’s unthinkable that people in the opposition would be able to eat, and that anyone but himself would have control over the lives of Venezuelans. I’m afraid, from the looks of things at this point, that this is going to become a difficult transition.